I have never been very self confident. Back when I was a teenager I had to have braces on my teeth and it has left me unable to smile easily, something which I think I’ve already managed to pass on to my eldest son Cameron much to my dismay. As I grew older, the braces were gone but the lack of self esteem they had brought lingered on and I turned to makeup as a way to mask my shyness and cover up my insecurities. A decade on, I’m ashamed to say I still struggle to spend a day without my ‘face’ on. I have got my makeup routine down to an art and can have full makeup done within five minutes easily in the morning, so it’s not like it takes time away from the children, but that isn’t what worries me. I think finding out my second child was a girl is what made me stop and think about what my lack of confidence might mean for my children. Sure, the boys might take away something from it, but it’s Carly, now 4, who I worry might take on my dependence with cosmetics to make herself feel good about herself. I worry that she sees me putting on my makeup every day like some sort of second skin and she will take it as something you have to do in order to be happy, to be liked, to be a woman and that’s not something I want to be suggesting to my impressionable daughter. The other day I was looking at my youngest son Benjamin smiling up at me first thing in the morning when I had not a scrap of makeup on my face, my hair was out of place and I seriously needed a shower, but he didn’t care, he didn’t understand any of that, all he saw was his mummy smiling back at him and it helped to put things in perspective. 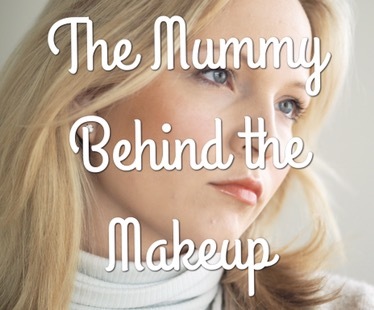 I spoke with some fellow mum bloggers to see what their thoughts were on wearing makeup as a parent. Maddy from The Speed Bump admitted that unlike me, her daughter doesn’t see her with makeup on very often, however, she did say it wasn’t ‘a conscious choice’ and that she just rarely has ‘the energy to put it on, especially (if we’re) not leaving the house!’. Maddy made a good point that “wearing make-up itself” wouldn’t “affect a child’s self-image,… it’s all in how you explain it to them. For example, ‘If you say “This is to make mummy look pretty”, it’s going to have a different effect on them to if you explain it as “This is something mummy likes to wear” – if you present it as a choice they can make, rather than something necessary to make them look socially acceptable, it will have less of a negative impact on their body image”. I think this is a really good way to look at it. It’s not the makeup that’s the problem, it’s the relationship you have with it and the message that sends to your children. Deborah from Country Heart and Home recalls that her daughter has told her she was beautiful when she was feeling down but ‘with a face full of make up she sometimes doesn’t say a thing’. Deborah concluded that maybe her daughter ‘knows the real me is the one without the mask on and she sees the beauty underneath it all’. Tayla from Motherhood the Real Deal spoke about how she wears very little makeup, even when going out – “it might be an extra dash of lippy to ramp it up a notch”. However, like me, she admits to feeling “better with it than without it…even if it’s only two minutes worth of it”! I think I need to take a leaf out of Laura’s book and try and stop depending so heavily on makeup to make me feel good and instead wear it when I want to transform myself for a night out, special occasion or ‘just because’. If I wear a full face of makeup everyday then I miss out on changing my look from day to night. I don’t need to stop wearing makeup altogether to show my kids how to love themselves, but by letting my natural beauty shine through from time to time, I can hopefully show them that you don’t need to put on a mask to be happy. After all, isn’t that the goal as a parent, to help your children find happiness? Do you find yourself depending on makeup, even if just to try and hide the dark circles that Motherhood bring? This is a great post. I rarely wear makeup and I don’t care! Such a great post and really important in current society. I don’t wear a busting amount of make uo but I think education is key, not saying it’s a mask. I rarely wear make up, but sometimes I do understand to give yourself a little boost it doesn’t hurt. But I will certainly teach my daughter not to rely on it. Great post – I’ve not gone out of the house without makeup since I was around 16, it’s a habit I wish I could break.